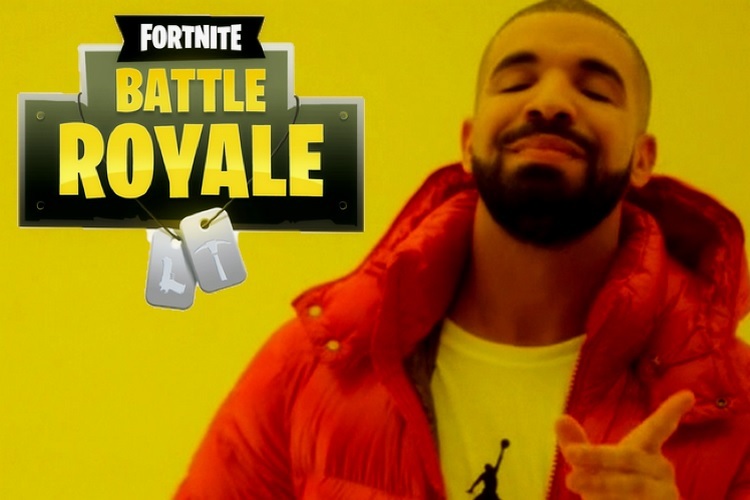 Drake’s love for Fortnite is well-documented, with the multiple Grammy-winning rapper not only enjoying the battle royale title with other celebs and pro-gamers, but also freely giving away thousands of dollars over the game. But the Canadian rapper has now offered to bring together two phenomena which has set the pulse of fans racing at lightspeed i.e. rapping about Fortnite if the developers create a Hotline Bling emote in the game. In a recent Twitch stream of a Fortnite session with Ninja, Drake said that if Epic Games creates an emote based on his famous Hotline Bling dance step, he will rap about the game. “It has to happen. It’s just gotta be the right way. Someone’s gonna do it, someone’s gonna pull it off. I say when Epic gives me the Emote. When Epic gives me the ‘Hotline Bling’ Emote, I’ll do it. Until then, I’m on strike”, Drake said, after being asked by Ninja to rap about Fortnite in one of his upcoming tracks. There you have it. On one hand is Hotline Bling, a track which became a global hit not only because of the sick beats and catchy lines, but also due to Drake’s trippy dance steps which have now become a stuff of legend in pop culture, and also a treasure trove of hilarious memes. Then there is a Fortnite, a game which is not only bringing an insane amount of money and breaking user engagement records on YouTube and Twitch, but also leading to a spike in search on adult sites and causing teens to wreak havoc in their schools. But it’s not just the exciting gameplay, but also Fortnite’s ‘Emotes’ which are gaining widespread attention as the wacky dance steps are now being copied by elite footballers to celebrate their goals. Just a few days ago, Atletico Madrid forward Antoine Griezmann concluded his celebration with yet another Fortnite dance, searing the hearts of Real Madrid fans. Drake’s promise has huge ramifications for Fortnite’s future. If his wish does come to fruition, not only Fortnite players will get a cool move to celebrate their victory, but the game’s mention in one of Drake’s rap songs will make it the unofficial Fortnite anthem. All in all, it’s a win-win situation for Epic Games, and we as fans are surely excited about what comes next.